We offer pest control for the following insects: ants, bed bugs, roof rats, Norway rats, mice, crickets, fleas, hornets,wasps, bees, cockroaches, fish moths (Silverfish), carpenter bees, flies, mosquitoes, rodents, bird lice and many other pests. 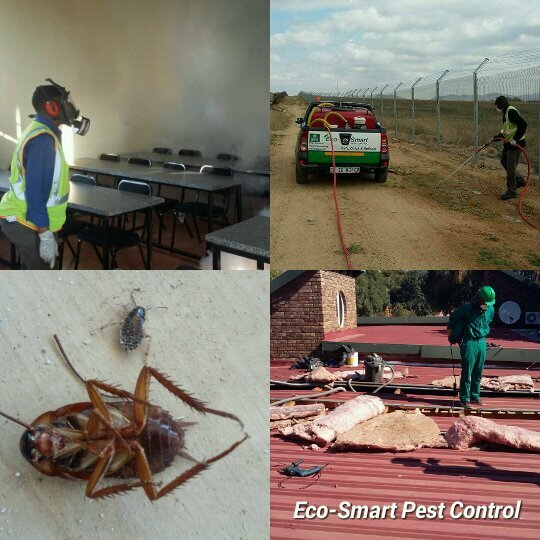 Prices: Termites (inspection needs to be done first to determine the type of infestation) Ant & Cockroaches R950 (for a 4 bedroom house -Interior and exterior perimeter treatment), Rats R750 (Roof baiting, Exterior T&C Apply) Bed bugs R1,200 (interior. Note. T&C’s Apply – Call agent), Fish Moths R850 (T&C Apply). Please contact agent to confirm a call out. Terms & Conditions apply.